A SEP can be set up as late as the due date (including extensions) of your income tax return for the tax year for which the SEP is to first apply. That means you can establish a SEP for 2017 in 2018 as long as you do it before your 2017 return filing deadline. You have until the same deadline to make 2017 contributions and still claim a potentially hefty deduction on your 2017 return. Generally, other types of retirement plans would have to have been established by December 31, 2017, in order for 2017 contributions to be made (though many of these plans do allow 2017 contributions to be made in 2018). Contributions to SEPs are discretionary. You can decide how much to contribute each year. But be aware that, if your business has employees other than yourself: 1) Contributions must be made for all eligible employees using the same percentage of compensation as for yourself, and 2) employee accounts are immediately 100% vested. 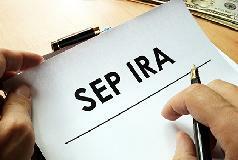 The contributions go into SEP-IRAs established for each eligible employee. Additional rules and limits do apply to SEPs, but they’re generally much less onerous than those for other retirement plans. Contact us to learn more about SEPs and how they might reduce your tax bill for 2017 and beyond. With bonus depreciation, a business can recover the costs of depreciable property more quickly by claiming additional first-year depreciation for qualified assets. The Tax Cuts and Jobs Act (TCJA), signed into law in December, enhances bonus depreciation. Typically, taking this break is beneficial. But in certain situations, your business might save more tax long-term by skipping it. That said, claiming bonus depreciation on your 2017 tax return may be particularly beneficial. Before TCJA, bonus depreciation was 50% and qualified property included new tangible property with a recovery period of 20 years or less (such as office furniture and equipment), off-the-shelf computer software, water utility property and qualified improvement property. The TCJA significantly expands bonus depreciation: For qualified property placed in service between September 28, 2017, and December 31, 2022 (or by December 31, 2023, for certain property with longer production periods), the first-year bonus depreciation percentage increases to 100%. In addition, the 100% deduction is allowed for not just new but also used qualifying property.But be aware that, under the TCJA, beginning in 2018 certain types of businesses may no longer be eligible for bonus depreciation. Examples include real estate businesses and auto dealerships, depending on the specific circumstances. beginning in 2018 through 2025. If your rate will be lower in 2018, there’s a greater likelihood that taking bonus depreciation for 2017 would save you more tax than taking all of your deduction under normal depreciation schedules over a period of years, especially if the asset meets the deadlines for 100% bonus depreciation. If you’re unsure whether you should take bonus depreciation on your 2017 return — or you have questions about other depreciation-related breaks, such as Sec. 179 expensing — contact us. Anderson Spector and Co PC 940-566-0512. As you know, Congress and President Trump enacted the Tax Cuts and Jobs Act of 2017 just before Christmas. The new law has raised questions about last minute planning opportunities, especially relating to the deduction of state and local taxes in 2017. 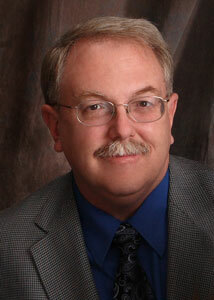 I am referring specifically to real estate taxes on your home or non-rental investment real estate. Business taxes are unaffected by the new law. Beginning in tax year 2018, deductions for these nonbusiness taxes will be limited to $ 10,000 on a joint return. Taxes already assessed and due 1/31/18. If you normally itemize and your Schedule A taxes are normally more than $ 10,000, yes, you should pay these taxes. The alternative minimum tax in effect for 2017 may limit the effectiveness of the deduction, so we cannot predict your individual savings without doing a tax projection. Whether by design or intent, Congress just did not leave taxpayers enough time to evaluate their options. Taxes not assessed and due 1/31/19. The most recent information we have from the IRS indicates 2017 payments for these will be treated as deposits and may not be deductible. While some counties have made arrangements to accept these payments, we will not know if they are deductible for a few more weeks. Again, the lateness of the new law limits our ability to plan effectively. I do not recommend current payment of these taxes. We will post additional information on our website as we learn more!